It was a great thrill and surprise to receive a package of beautiful kodacolor prints of Tillandsia multicaulis, enough for the cover of the present edition of your Bulletin. Much to our surprise and regret the donor wishes to be anonymous. While we feel that due credit should be given now, it apparently remains that the Gods of Bromeliad Heaven must give this award to a very genuine bromeliad devotee. We know that every member of the Society will appreciate this generous gift. Tillandsia multicaulis is one of the few Tillandsias with lateral inflorescences. In Costa Rica where it is quite frequent it is called the "gold fish". We have seen as many as six spikes in one plant – always appearing among the leaves but none from the center. It is found from Mexico to Panama. The cover of our Handbook carries a stylized drawing of this Tillandsia. 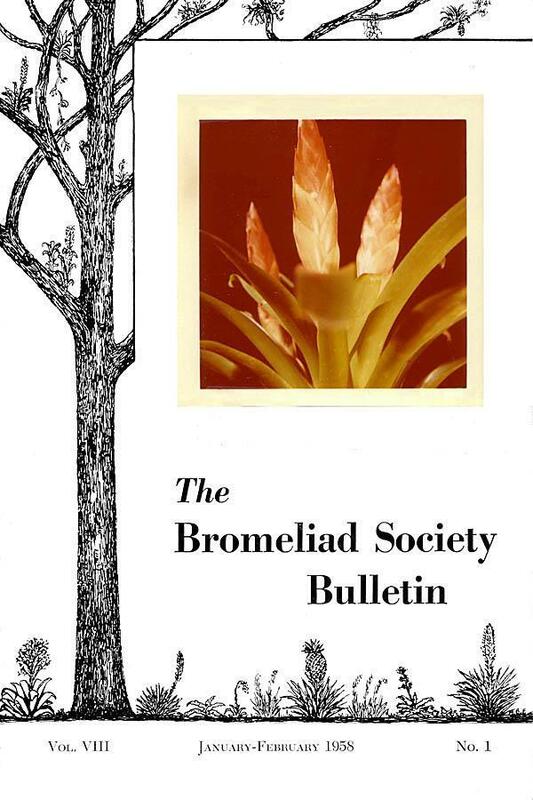 Since time began, that is, Bromeliad Bulletin time, when the first number came out in January-February 1951, the Editor, (also president of the Bromeliad Society) has with the great help of his wife, Racine, carried the responsibility of the Bulletin on his shoulders, but actually most of this detail work has been done by Racine. At the Annual Director's Meeting in October 1957, your president submitted his resignation as Editor of The Bromeliad Bulletin. It was accepted and then Racine Foster was appointed to the editorship. It is now hoped that your past-editor doesn't have to do as much of the necessary work for the new editor as the new editor had to do for the old editor. It was, indeed, a very great surprise to find myself appointed to the editor's desk. While I approved of my husband resigning his obligations as editor, I do not approve of making his wife editor, mainly because it does not solve the many problems in our busy lives; however, I will carry on for another year until my husband's term as president expires January 1, 1959, although the term of president and editor is not necessarily synonymous. We had planned this issue to be devoted, mainly, to "Some Odd Bromeliads You Should Know", but the extended, severe weather, (never such an experience before in Florida) changed the topic to something of more immediacy. We are very much impressed with a company from Switzerland who has sent in their 1958 new subscription, three months in advance of January 1958. "I'm working on another article for the Bromeliad Bulletin which I will submit to you in due course, but I am surprised that with all the members concentrated on your side of the world, so few contributions come from them particularly since they are on the spot, so to speak, and among them are so many professional bromel sellers and specialists." Our seven or eight acres of bromeliads are being grown at Gotha, ten miles west of Orlando, in the central part of Florida. It is gently rolling country, and our property is characterized by mature growth of pine, juniper, live oak, hickory and wild cherry which makes a canopy over the bromeliad plantings. In most places the growth is not dense and a good deal of light filters through the leaves to bring out the color of the Neoregelias, our major holding, which goes to make up over five acres of the plantings. Our other bulk holding consists of Aechmea miniata var. discolor hybrids, an acre or two. All of the plants are grown in the ground save a few species of which we have only a few plants. During the hard freeze of December 10th and 11th when temperatures dropped to 24° F. for two nights running, with a day in the low forties in between, we had an excellent opportunity to test the hardiness of at least the Neoregelias and the Aechmea miniata var. discolor hybrids on a large scale, and many other bromeliads on a more restricted basis. Since the December freeze, we have had another night with a reading of 25° F. and although it is too soon to evaluate this additional test of hardiness, I feel relatively safe in saying that little or no further damage has resulted. The Neoregelias which are composed, roughly, of half N. spectabilis hybrids and half N. marmorata hybrids show very little damage, and what little they do show appears in areas where overhanging trees had been recently removed, or in areas where the planting had extended beyond the tree cover. Out of perhaps 75,000 plants, less than a hundred were badly frozen and in nearly every instance, the plant will survive to put forth off-sets. The Aechmea miniata var. discolor hybrids proved vastly less resistant to having the water in their crowns frozen solid for at least 20 hours. In the various categories of old plants, mature plants which had not bloomed, and off-sets still attached to the parent, there is little to choose from in respect to hardiness, for all were badly damaged. The old plants show nearly all leaves dead, the mature plants have a few leaves untouched, and the off-sets largely rotted off at the base of the stolon. I believe; however, barring additional severe freezes, that a large percentage of old and mature plants will, in the course of time, send up off-sets, for many of the plants give present indication of this. One interesting point was the survival of hundreds of very tiny off-sets, no larger than one's thumb, or even smaller, which came through in perfect shape. To sum up, only an isolated plant escaped without damage which ranged from total to severe. I continue with a list of other genera and species which are represented in our holdings by modest numbers; ranging from a single specimen to a hundred or so. Ananas bracteatus, the red pineapple, came through without a mark, but tops of commercial pineapples which were in various stages of growth suffered, though a variegated A. comosus, well protected, showed no damage. A. macrocephala, a vigorous growing hybrid, showed damage ranging from minor to severe. Other pineapple species from the United States Department of Agriculture were badly frozen. Among the Aechmeas, Ae. Schultesiana had leaves frozen in degree running from minor to severe, as did the lovely blue-berried Ae. angustifolia. Neither form of Ae. pubescens shows damage, nor does damage appear in Ae. tessmanii. Poor Ae. bracteata, which had always looked freeze-proof to me, was very badly hurt, but will survive in most instances. It was a surprise to find that Ae. filicaulis weathered the debacle in almost perfect condition, whereas Ae. purpurea-rosea lost leaves in all instances, so the damage ran from medium to severe. Ae. Victoriana was hurt as was Ae. miniata var. discolor but not killed. Ae. × "Bert" lost a few leaves on juvenile plants, none on several mature specimens. Ae. marmorata was burned by the cold, which distressed me, but it will recover. Ae. Mariae-reginae ran the gamut from killed to being seemingly untouched, with emphasis on the first comment. Our President's charming hybrid Ae. × "Foster's Favorite" displayed surprising resistance, and though in most instances the central tender leaves were killed, I hardly lost a plant. Ae. mexicana proved more tender than I had remembered, for with a dozen or two plants the damage ranged from very severe to slight. I was distressed to lose the just emerging bloom stalks of a few dozen Ae. Weilbachii, and sadder still to see how badly damaged all of the plants were, save for an off-set or two. Both varieties exhibited about the same degree of hardiness with me. Ae. saxicola was badly hurt in a somewhat open situation, but will survive. And faithful old Ae. calyculata completely ignored the cold as did Ae. distichantha. Another Aechmea which came through without a mark was Ae. bromeliifolia var. rubra, though right near it were individual plants of Ae. lagenaria which were very nearly killed as was its neighbor, Ae. blanchetiana. Ae. fulgens var. discolor managed to get hurt even though it was potted and in a heated greenhouse, though this came as no surprise, for it looks unhappy every winter. Mr. Foster's namesake, Ae. Fosteriana found the weather not to its liking and all plants show some damage, quite severe in several instances. A big disappointment to me and many other Floridians was the behavior of Ae. fasciata which was very badly hurt as was the variety rubra, and Ae. Orlandiana, despite its heavy leaf structure, also suffered severely. Another lovely hybrid, Ae. × "Royal Wine" found itself unable to cope with the cold, though the plants are not entirely killed. The Billbergias, by and large, didn't fare spectacularly well, though B. nutans, that hardy campaigner of a thousand frosts, and B. amoena survived intact. Not so with B. saundersii, which was badly hurt, but not quite killed, and B. × "Muriel Waterman" which lost a few leaves. The most common bromeliad, other than our native plants, which has been generally distributed in Florida, B. pyramidalis, suffered a surprisingly large amount of damage, though a few under heavy shade came through in good condition. B. minor lived up to its name; its damage was likewise. The striking B. × "Fantasia" was badly hurt, though not killed, as was B. leptopoda. The winter-blooming B. pyramidalis seemed to resist the cold better than its sister summer blooming plant and our plants of B. horrida var. rubra and B. horrida itself exhibited damage running from insignificant to severe. B. vittata and B. porteana still stand, though obviously unhappy. B. Euphemia, in a small planting, shows signs of severe freezing, tailing off to a very minor damage. Finally, a large number of various Billbergia hybrids, made by the late T. L. Mead, all will be happy when spring comes, though none succumbed. Speaking of Mead, his bigeneric hybrids, Cryptanthus × Billbergia did rather well, though a few leaves turned soft and brown. Our native Catopsis species shows light frost damage and not far away are two Guzmanias; G. lingulata whose leaves show minor damage and G. Berteroniana which is in perfect condition. A large plant of Hohenbergia penduliflora was hurt, but its off-set shows no signs of frost. Most of my Nidulariums proved rather hardy, save, N. innocentii var. variegata which is in poor condition, but the several plants I have were not healthy prior to the freeze. N. burchellii and N. Scheremetiewii didn't turn a hair, and N. amazonicum indicated only a trace of damage. My few plants of N. fulgens were in bad condition before the cold and it proved too much for them, save perhaps a single plant. In respect to the Neoregelias, other than our hybrids, I was pleased to see that N. carolinae, both the long, narrow-leafed form and the shorter, wider leaf variety, behaved splendidly and there is only a trace of leaf damage. N. pineliana was untouched, as was N. concentrica. The large N. carcharodon had a leaf or two touched while N. macrocephala is entirely intact. Not so with the attractive diminutive N. ampullaceae; if the plants are not dead, I will be surprised and relieved. N. Johannis didn't seem to be too affected, only a leaf or two was touched. A small group of Mr. Foster's hybrids, Neo. Carolinae × Neo. farinosa, range from severe damage to none at all: the plants were small and not all healthy. The two Porteas I grow, P. extensa and P. petropolitana were hurt, the latter, in at least one instance, rather badly. My few Quesnelias, Q. liboniana, Q. testudo and Q. arvensis came through in fine style, though a small planting of the last mentioned, out in the open, shows varying degrees of damage, not, apparently lethal. My only Streptocalyx, S. longifolius has proven in the past to be quite tender and once again is in very poor condition. The Tillandsia group I leave to others who have many more than I. I merely note that even the native plants reacted badly to the cold. I always feel brave to have a hundred or so Vriesias planted in the open, but I feel more relaxed over their welfare now, for, save for a few plants of V. × "Marie" which had fungus trouble before the freeze, none succumbed and the group which were planted in the ground did better than the fifty or so which were in pots nearby; even the bloom came through unscathed in several instances, though the bloom was lost on other plants, where the plant itself shows no sign of damage. Vriesia carinata and V. retroflexa showed no damage, nor did V. bituminosa. Two Vriesias show a few damaged leaves, V. Fosteriana and V. Schwackeana. Last but not least, Wittrockia superba lost but a single leaf. After seeing what happened to bromeliads in cultivation a friend and I decided to make a reconnaissance trip to the main native colonies around Florida in order to appraise the extent of damage in the wild. As far north as Palatka (near Jacksonville) we found that Tillandsia usneoides and T. tenuifolia were not frozen, but that T. recurvata was somewhat frozen in open areas where the temperature went to 15 degrees F.
Fifty-eight miles south of Palatka, around Deland, Tillandsia utriculata was bleached to a light ecru color. The furtherest north colony of Tillandsia fasciculata var. densispica were frozen; the new growth actually dropped off these plants. Of Tillandsia simulata, over half the species in this DeLand area, growing in colonies, were killed. Eastward to the Daytona area a colony of T. circinnata was found to be over 80% frozen. In this same area a few plants of T. Balbisiana were in good condition. Here, again, the T. utriculata were completely frozen. In Central Florida, Orlando area, the T. utriculata seemed to survive a little better where only about 50% of the colonies were destroyed. T. simulata was damaged to a large extent but the apparent natural hybrid between T. tenuifolia and T. simulata was not affected, while T. fasciculata, suffered a great deal in this area. Further south in the Sebring area, around Arbuckle Creek where tremendous colonies of T. tenuifolia were destroyed, in 20 degree temperature, T. utriculata took a beating too. The T. utriculata, growing in the shade and swampy conditions, were more open, spreading, succulent plants, so these were completely frozen, while the harder type plant, growing high in the trees took the cold winds much better (but were not unscathed) than T. fasciculata in the same conditions. In the Palm Beach area, where temperatures were 27 degrees, T. polystachya, in its small colony, survived the cold and kept good color; T. Balbisiana was only slightly damaged. T. circinnata was hurt quite severely, but T. fasciculata var. densispica forma alba came through in much finer form than the type variety. To our surprise, growing high in trees, T. flexuosa was killed outright. T. utriculata in this area was also damaged severely. West from Palm Beach, in Hendry County, in the Big Cypress Reservation, the large colonies of T. Valenzuelana were 80% destroyed. T. pruinosa in this area was hurt at 24 degrees, but not killed outright. T. flexuosa was hurt. In the Immokalee area (vicinity Fort Myers) where the native Paurotis Wrightii palms grow, Guzmania monostachia was only slightly spotted; the new growth at the base of plant was in good condition in contrast to T. flexuosa only six feet away in approximately the same exposure. Catopsis floribunda was damaged but not killed. (In cultivation in Central Florida, this Catopsis showed no damage.) Tillandsia pruinosa in this area came through in contrast to the hard-grown (full sun) T. fasciculata plants which were damaged severely. Catopsis Berteroniana, growing on mangrove trees on Marco Island (sw. end of Everglades) was damaged only slightly in comparison to T. utriculata and flexuosa which were severely damaged. T. flexuosa, circinnata and Balbisiana, growing in this area were not severely damaged. Obviously this severe winter has affected our native bromeliads adversely, but it has given us a better understanding of what they can take and what they need in cultivating and protecting bromeliads in the future. The recent freeze in Central Florida, while very unpleasant, provided some interesting comparisons (bromeliadwise) with the California freeze of 1949 which Victoria Padilla wrote about in the July-August 1951 issue of the Bromeliad Bulletin. For example: – in California Billbergia pyramidalis was killed at 25 degrees. At my home in Orlando the temperature was 24 the first night and 27 the second. Injury to B. pyramidalis was spotty – a plant burned and another a few inches away was unharmed. Possibly 35 to 50 per cent of the plants were burned more or less. Billbergia nutans, B. distachia, B. Saundersii and various hybrids were unharmed and B. Saundersii was in bloom ten days later. However B. macrocalyx was badly burned but not killed. Aechmea miniata-discolor, as usual, suffered the most injury of all the Aechmeas. Only a few plants escaped entirely. Aechmea mexicana and A. caudata were only slightly injured. Aechmea Schultesiana in the ground were practically unharmed while those in pots in the shade house were badly burned. Considerable damage was suffered by A. Racinae, A. "Foster's Favorite", A. pubescens, A. bracteata and A. angustifolia. 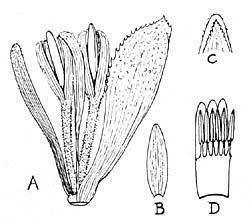 Aechmeas which came through unharmed were A. distichantha, A. comata, A. calyculata and the large type of A. pineliana. An old plant of A. pectinata was burned but the small offsets were uninjured. Neoregelia carcharodon and N. marmorata and spectabilis hybrids were only slightly injured. Damage to Portea petropolitana var. extensa, Ananas bracteatus and A. comosus was very slight. Small off-sets on Hohenbergia stellata were unharmed while the old plant was badly burned. Larger off-sets recently potted and not yet established were also injured. Bromelia balansae was unharmed while Quesnelia liboniana was somewhat burned. I did not have any Vriesias or Guzmanias outside and the only Tillandsias out were some of the natives such as T. fasciculata, T. utriculata, T. tenuifolia etc. which were unharmed although possibly they were injured in other, colder locations. I live near Maitland, Florida, seven miles northeast of Orlando. Wednesday, December 11, 1957 was a warm day, with showers in the early afternoon; towards evening the rain stopped and temperature began to drop; by 10:00 P.M. it was beginning to freeze. It became progressively colder until 7:00 A.M. on Thursday, when a low of 24 degrees Fahrenheit was observed, and a half-inch of ice had formed on a bird bath. During the day of December 12 a high of 45 degrees was reached in the afternoon, but it became colder as the sun went down, and by nine o'clock it was freezing again, continuing to become colder until 24 degrees was reached by 4:30 A.M. of December 13. After that the weather moderated slowly; at sunrise it had risen to 29°, but there was a full inch of ice on the bird bath. During the first night, water in the center of bromeliads froze solid; only those exposed to the sun were partially thawed out the following day, and all were frozen solid the second night. Most plants were either killed or severely damaged, but some few species survived with no damage at all. T. plumosa, T. Kirchhoffiana, and some of the Dyckias and Hechtias. Those slightly damaged by the cold were: Aechmea Mexicana, Billbergia Saundersii, B. horrida, B. pyramidalis (winter-blooming type), Neoregelia marmorata, N. spectabilis, N. sarmentosa var. chlorosticta, N. concentrica, N. tricolor; Vriesia retroflexa, Tillandsia punctulata, T. imperialis, T. gymnobotrya, T. Deppeana, T. Butzii, T. Karwinskyana, T. Leiboldiana. Also, Cryptanthus hybrids as well as several as yet unidentified Tillandsias, Catopsis and Pitcairnia showed little or no damage. Those severely hurt, but will probably send out suckers, are: Tillandsia multicaulis, T. caput-medusae, T. streptophylla, T. polystachya, T. festucoides, T. fasciculata, T. brachycaulos, Aechmea Orlandiana, Ae. pineliana, Ae. bracteata, Ae. nudicaulis, Ae. marmorata, Bromelia balansae, Billbergia pyramidalis, Nidularium amazonicum, Portea petropolitana var. extensa, and Vriesia × "Marie." One type of Tillandsia ionantha plants were nearly all killed, while another type were unharmed, and are continuing to put forth blooms. 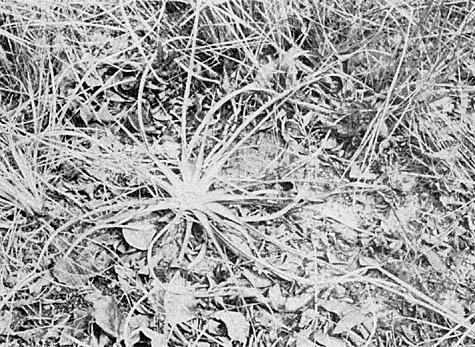 Three plants of Tillandsia imperialis were left with the ice in the centers, after the first night's freeze, while three other plants next to them had the ice and water shaken out; the first three plants are completely dead, while the latter are only slightly hurt, a few of the leaves being burnt. Comparing the damage done to trees, shrubs and plants in general with that noted in former years, it seems to me that this is the most severe cold that we have had in the forty years I have been in Florida. In former years, all the species mentioned above have come through the past few winters with no damage whatsoever; and we have had temperatures of as low as 26°, for several hours. All the plants were growing either in a shade house without any heat, or upon and under the oak trees in our yard. In general, the plants growing on or under the trees showed less damage than those grown in pots in the shade house. Our first frost was November 30th when we had 29° F. Since then we have had four or five days when the temperature went below 32° F. and one night it dropped to 23 degrees. The following are bromeliads that were outdoors during the above mentioned time, with a report of the conditions after the low temperatures. Aechmea bracteata (not full grown–14 in. high) was completely destroyed. Bromelia balansae had some leaves frostbitten, but the centers are still green. These plants have been outdoors for four years, winter and summer. Ananas comosus was completely destroyed. Dyckia altissima had a few leaves frostbitten; other than that no apparent damage. Puya alpestris sustained no apparent damage, but had a few frostbitten spots on the outer leaves. Puya coerulea received a few frostbitten leaves on some plants, but no damage on others. Puya Roezlii had no damage. Tillandsia tenuifolia out on trees received no apparent damage; and the same with T. Baileyii (a Texas species). I had several T. Baileyii that were collected in Mexico; these were frost destroyed last winter, while those collected in South Texas survived. T. simulata had no apparent damage. The frost damage was much worse in the country gardens. Bromeliads grown in the walled patios of the Vieux Carré, in most cases show no damage at all, being protected by high brick walls as well as trees and overhanging roofs. New Orleans proper was hardly hurt at all (in the recent freezes) but down here, in the river delta at Dalcour, the temperatures spent a whole night in the 20's. At midnight it was 27 degrees and in the morning at 7:30 A.M. it was 23 degrees. That was the worst although the temperature has slipped below 32 several times. The recent low was 26 degrees. Tillandsia imperialis proved hardy as well as several Florida Tillandsias, (fasciculata, utriculata, simulata included). Of the Aechmeas, hardiest proved to be, A. bromeliifolia var. rubra, A. distichantha, caudata var. variegata, (slightly damaged), A. Pineliana, A. recurvata, A. calyculata. The following were severely damaged or killed: Aechmea × "Foster's Favorite", (killed), A. Weilbachii, (killed), A. marmorata, (killed), A. angustifolia, (damaged), A. Orlandiana, (damaged), A. × "Bert", (damaged), A. bracteata, (damaged). The hardier Billbergias were B. distachia, (ordinary pink phase), B. nutans, and several hybrids. Among the tender Billbergias were: B. leptopoda (killed), B. macrocalyix (damaged severely) and B. pyramdialis (damaged). Quesnelia Liboniana proved unable to take it but Q. arvensis fared rather well. Portea petropolitana was burned almost to death. The Neoregelias were burned and look spotty but survived, I think. Believe it or not, a seedling of Vriesia splendens seems to have come through, growing right on a branch outside. I almost lost everything in the greenhouse too, because the gas pressure went off in my greenhouse on the worst night. Fortunately I noticed it in time to put on an electric heater in there. The rest of my plants were in a plastic house which was inadequately heated but when I saw the thermometer was 32 degrees with the heater going I resorted to a pan of charcoal at midnight. It burned all night and there was only slight damage in the houses. I have learned to do better. The second freeze did not catch me unprepared and seems not to have damaged things that were left undamaged by the first. Braithwaite, P. O., Dalcour, La. The bromeliad growers of Florida had a very definite opportunity to gain some real knowledge as to the hardiness of our favorite family, during the two days and nights of December 12th and 13th and the 6 freezes since, not to mention the many other tropical plants in our gardens. While the test was rather severe it was most valuable to everyone, whether growing these plants commercially or as decorative features in the subtropical gardens. We have learned for certain that a few species have a greater cold tolerance than we realized and that many of them, although severely damaged can still survive. There were many thousands of bromeliads that survived temperatures from 32° down to 26° F., planted in semi-shade in the ground with no artificial heating or protection. These plants were, principally, Neoregelia species and hybrids but many other genera were represented. Dyckia frigida, D. Fosteriana, D. leptostachya, D. × Lad Cutak, D. maracasensis, D. maritima, D. microcalyx, D. remotiflora, D. altissima, D. Niederleinii and D. tuberosa, – all of them with full sun exposure withstood a temperature of 26° without any sign of damage. D. brevifolia (sulphurea) showed slight scald injury. Most of the Hechtias came through with little or no damage. Deuterocohnia Meziana had leaf tips burned but D. Schreiteri was uninjured. Most of the data on cold damage which has been reported by several of our growers in this issue, was written in January. Since that time we have had considerable more cold weather and in February we had at least two more nights with temperature down in the 25 to 28 degree range in rather protected high ground areas; we all agreed that even though we found ice in our Neoregelias, which comprise a high percentage of under tree plantings, the damage was not fatal in but a comparatively few cases. We had many hundreds of seedling hybrids outside with no other covering than the leaf canopy of live oaks above; the hardiness of those little plants was truly remarkable. I would say that we did not lose more than two percent of the plants. It is true that many of our bromeliads do not look perfect in color and shape but few have the centers frozen; some have one or more leaves damaged but a few weeks will show a great pick-up. Many new shoots are already breaking at the bases of the more seriously injured specimens. Definitely, the plants in the ground are in much better condition than those in pots in slat houses. All in all the bromeliad growers and fans in Florida are unanimous in their great respect for the hardiness of so many of our favored bromeliads. Interesting papers and contributions concerning bromeliads continue to reach our desk. First in botanical science is the Smithsonian Institution Contribution from the U. S. National Herbarium, a whole volume #33, "The Bromeliaceae of Colombia" by Lyman B. Smith, curator of Phanerogams, with 88 illustrations by R. J. Downs. This paper is a monographic and floristic account of the 372 species occurring in Colombia, more than twice as many as were credited to Colombia by Mez in his great monograph of 1935. This volume of 311 pages is the largest and most complete treatise that Dr. Smith has authored. It exceeds even that of "The Bromeliaceae of Brazil" in that every species listed here is described in detail which was not possible in the Brazilian treatment. Brazil has 549 recorded species, not counting varieties, while Colombia has 372 recorded species. This shows a most interesting comparison and will come as a surprise to many who have been under the impression that the majority of the bromeliads are native to Brazil. This is, no doubt, due to the fact that the greater number of bromels in cultivation are from Brazil. Comparatively few of the species native to Colombia are to be found in Brazil. In Colombia there are 18 genera represented but in Brazil 35 genera have been found. This fine work is most welcome and Dr. Smith is to be congratulated on the completion of such a large undertaking. Copies available on request of libraries, institutions, and specialists to the Publications Section, Smithsonian Institution, Washington 25, D. C. The Publications Section also reminds us that there are still some copies of the "Bromeliaceae of Brazil" for sale at $3.50. The lnstituto Paranaense de Botanica, Caixa Postal 1362, Curitiba, Parana, Brazil, has just sent us a copy of their Contribution #3, "Bromeliaceae Paranaenses" by Dr. Joao Angeley, Director of the Institute. It is confined to the bromeliads of Parana, and gives the history, description and study of the family, listing the 100 species known in the state of Parana. It lists the 26 different plant collectors and the number of plant collections made by them as well other interesting data. The Los Angeles County Museum, Los Angeles, 7, Calif. has just published an eight page "Contributions in Science" No. 17 on the Machris Brazilian Expedition. This leaflet treats, principally, the bromeliads and is written by Dr. Lyman B. Smith who describes two new species of Dyckias and cites other collections. First in size and universal popular interest is the magnificent edition of EXOTICA. We believe this exceeds anything of its kind that has ever been published for it covers an immense field. To Albert Graf of Julius Roehrs Co., Rutherford, N. J. goes much praise and appreciation for accomplishing this really colossal task. Almost any plant enthusiast will find a picture of nearly every decorative plant that he has ever seen or heard of and countless ones he has not realized were in horticulture. Bromeliads certainly occupy an important place in this volume and more species and hybrids are illustrated than has ever before been shown in any publication. The price of $17.50 for this beautiful edition is certainly very reasonable and we are amazed that it could have been published at such a reasonable price. Ladislaus Cutak of the Missouri Botanical Garden and one of the Directors of the Bromeliad Society, had an article in the December 1957, FLOWER AND GARDEN Magazine (Mid-America Bldg. Kansas City 11, Missouri.) 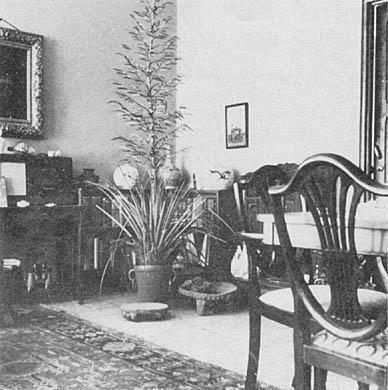 titled "Bromeliads for House Plants"; it is an article directed to the mid-America housewife who is not acquainted with bromeliads as house plants; seven good black and whites illustrate the two and a half page article. It is truly gratifying to find an ever-widening audience to whom the bromeliads are beginning to speak, and when two of our top-drawer publications out of New York give considerable space to this family of plants, we know that the bromeliads have "arrived". HOUSE BEAUTIFUL in their December 1957 issue, (p. 165) devoted two pages, – one full of vivid photos, and the other page contains not only descriptions of the plants but a most persuasive account about bromeliads answering the quest for the perfect house plants which "give a lot of mileage". The Sunday NEW YORK TIMES for November 17, 1957 ran a splashy spread of showy bromeliad photos with the article by Walter Singer (of New York Botanical Garden), entitled "Brilliant Parade", a most convincing three columns that bromeliads have something to offer. For a line that most completely summarizes the value of bromeliads we congratulate Rosanna Horton on her title to an article in the December, 1957 BEGONIAN (Vol. 24, No. 12; 25c, 3207 W. 186 St. Torrance, Calif.) "Bromeliads Add Interest to Any Garden". The No. 3, Vol. II (Julio-Sept. 1957) .of "CACTACEAS y SUCULENTAS MEXICANAS" has recently reached our desk. Prof. E. Matuda describes a new species of Tillandsia, T. atroviridipetala, a miniature epiphytic species with green flowers; and in the same publication (Oct.-Dec. 1957) another new Mexican species, Vriesia ovandensis is described. BROMELIA MACEDOI L. B. Smith, sp. nov.
A B. humile Jacquin atque B. villosa Mez, quibus affinis, omnibus partibus minoribus, sepalis apice serratis mox glabris differt. Plant stemless; principal leaves about 15 in a flat spreading rosette with its base partially sunk in the ground, sheaths suborbicular, 4 cm. long, their upper third laxly serrulate and covered on the outside with coarse brown scales, blades curved or contorted, linear, acuminate, 18 mm. wide, pale-appressed-lepidote on both sides, then more or less glabrous, laxly serrate with curved spines 2 mm. long, brilliant red toward base, elsewhere green; inflorescence subglobose, ca. 4 cm. in diameter, sessile in the center of the rosette; primary bracts obovate, 4 cm. long, serrulate and white-lepidote toward apex, thin; floral bracts linear, otherwise like the primary bracts; sepals elliptic, obtuse and cucullate, 15 mm. long, sharply carinate, serrate near apex, white-lepidote becoming glabrous; petals narrow, erect, 20 mm. long, glabrous; filament-tube 8 mill. long; ovary slenderly cylindric, 20 mm. long, persistently and finely white-lepidote. A Branch (fascicle) of inflorescence x 1. B Outside of sepal x 1. C Inside of sepal apex x 2. D Corolla and stamen tube laid open x 1. Type in the U. S. National Herbarium, collected near the summit of the Serra dos Pirineos, Municipio of Pirinopolis, State of Goias, Brazil, October 18, 1956, by Lyman B. Smith and Amaro Macedo (No. 4826 of Macedo series). Isotype in Herbario A. Macedo. Unlike some of its near relatives, Bromelia Macedoi spreads its leaves widely and displays its brilliant red center to maximum advantage. It is to be hoped that material can be obtained for cultivation. Returning with a friend from a trip to Santa Maria de Dota on the Pan American Highway, a few days before Christmas, we collected an odd bromel or two. On approaching La Cangreja we saw on the roadside a few bromels in a group arranged for sale. There were Catopsis and some of the very handsome purple Vriesias that we used to call Thecophyllums. These, when grown on sunny branches, attain a very rich color, but do not retain it when brought down into cultivation at lower levels of 4,000 feet or so. Also in this roadside arrangement we saw two or three of the narrow-leaved Vriesias with handsome pink-bracted inflorescences. Above all these towered the mauve spike of the Tillandsia you see in the accompanying photo. We had seen many examples of this spike sticking out of the numerous jeeps and pick-ups that go raiding the bromeliads along the highway, putting these spikes up for sale in San Jose. Not one that we saw in the trucks approached my big one in size. It will be seen in the photo pinch-hitting for a Christmas tree; it served the purpose quite well for two grown-ups. The other Tillandsia, until recently, was a striking adornment of riverside trees in the Orosi Valley, has glaucous leaves and brilliant, glabrous yellow branched inflorescences; it still occurs scantily around Las Concavas, near Cartago, my home for many years. It is becoming increasingly difficult to protect such survivals of destruction now that they have become so popular. Apt. 4, Cartago, Costa Rica.